Let’s say you want to buy Kodai wand but you don’t want to spend you hard-worked Old School RuneScape gold for it. You may think that going to the duel arena you can make some easy OSRS gold. Of course, you know that in order to select the most appropriate player to fight against, you should check their weapons, combat stats and how much they stake. But as you well know many times even if it looks like these are in you favor, you end up loosing the battle and thus your RS gold. So what can help you win more stakes at Old School RuneScape duel arena? Each Old School RuneScape player possesses three unique attack styles. 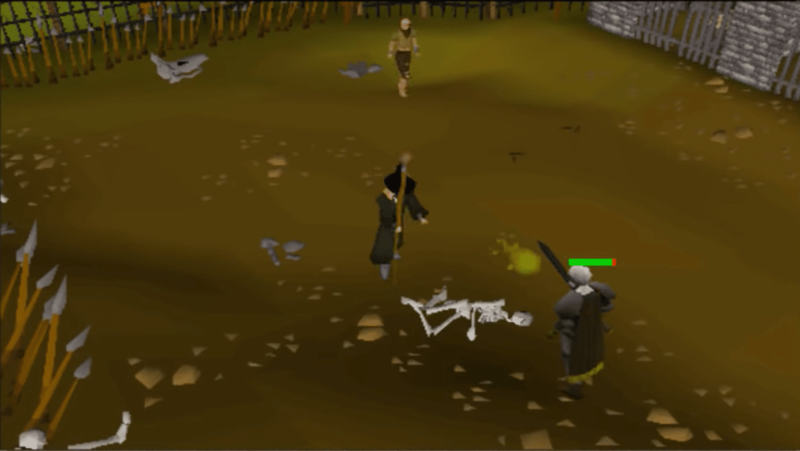 Each OSRS style gets experience in the respective combat skill or skills and slightly boosts your accuracy, damage and defense. You can use OSRS Theoatrix to find out percentages and how each style benefits you. Then use this knowledge to your advantage. Every time your character goes to attack, click the style that has highest attack accuracy. But when you see a hitsplat above your character or that your experience drops, switch to the style with the highest defensive boost. This OSRS staking strategy can not only be used in whip fights but also in OSRS dragon dagger showdowns or boxing matches. Old School RuneScape Player ID is a priority system that gives a number based on player’s IP address when they log in. It changes every 60 to 90 seconds (100 to 150 OSRS game ticks). When clicking at the same time, players with lower ID get priority over the others. Although it won’t produce millions of OSRS gold automatically, the extra hit it can give you an advantage on the OSRS duel arena? The secret is your player ID to be lower than your opponent’s. Yet again, first select your opponent wisely. Zero in on your next staking victim and follow them. Ask them to click one square ahead. Now that you’re following, check if you move at the same time as them. If so, you have better player ID then them. If you stand still for half a second, then move, they have better player ID than you. The Martingale System is a strategic approach that can help you safely stake your OSRS gold. The main thing is to double your bet on every loss so you break even or make a profit. This system is used by some professional gamblers. Using it in Old School RuneScape world, if you have even stats and weapons with you opposer, over time you’re likely to win as many stakes as you lose. For example, stake 1 million OSRS gold every duel. If you have 50 million with a baseline stake of 1 million, every time you lose a duel, your next stake doubles. This means 1 loss = 1 million stake, 2 losses = 2 mill stake, 3 losses = 4 mill stake, 4 losses = 8 mill, etc. As when staking you have 50/50 chance to win, when it happens, you’ll receive all your initial gold back, since you’ve kept doubling up on your losses. Using the Martingale system, you practically never lose OSRS gold, assuming you didn’t lose too many consecutive fights. This entry was posted in How-To Tips & Tricks, Latest OSRS News, Old School RuneScape, OSRS Mobile App and tagged buy old school runescape item, buy oldschool runescape gold, buy osrs items, buy runescape account, buy runescape gold, buy runescape powerleveling, cheap OSRS gold, sell rs2007 gold. Bookmark the permalink.